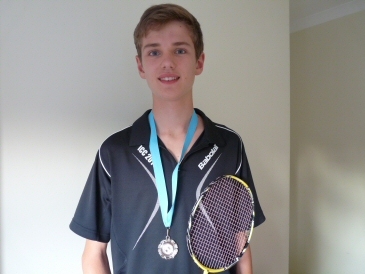 FastStep’s U15 and U17 players shone today at the Sussex County Junior Badminton annual restricted championships in Portslade, showing great sportsmanship and passionate play throughout. In the girls U15 event, FastStep Elite squad member Eva Craig took the girls singles title a year young. Meanwhile in the doubles, FastStep Stars’ Monica Carr-Pacquay secured a runners-up medal with partner Molly. In the U17 boys event FastStep Elite squad members Daniel Hatton and John Jo Pye displayed some excellent badminton before facing each other in the semi final. Daniel came through victorious and then fought an excellent final, narrowly losing out on the title 21-20. There were some hard fought games also from David Jolliffe in the U15 boys event and Laura Hemsley in the U17 girls event. Well done all our players!